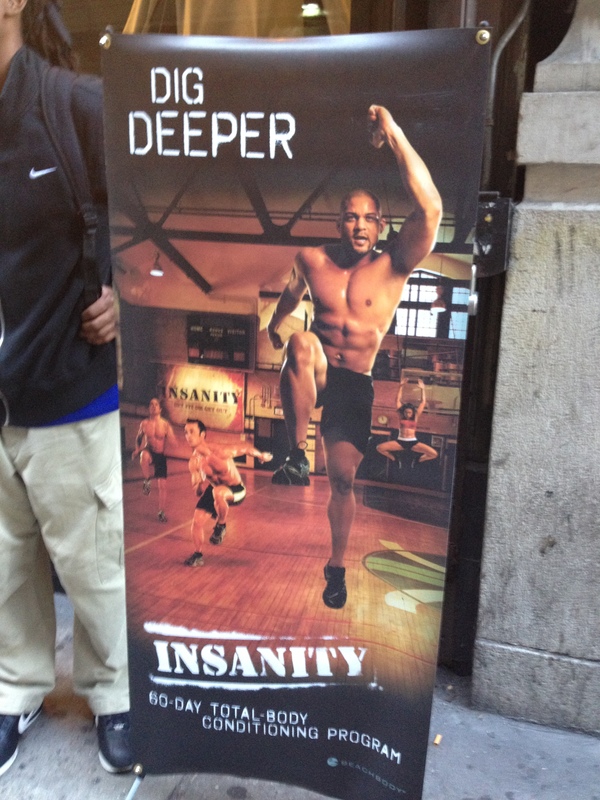 I participated in an Insanity flash mob. It was fun, but we got broken up in 8 minutes 😦 And since I was doing Insanity, I got one picture! My sister and I ended up jogging in NYC to keep up the fitness portion of the day, so that was fun. I was wearing the wrong sneakers for it and haven’t been doing any running, so it was slow and short. But a good time. She also ate banana pancakes. 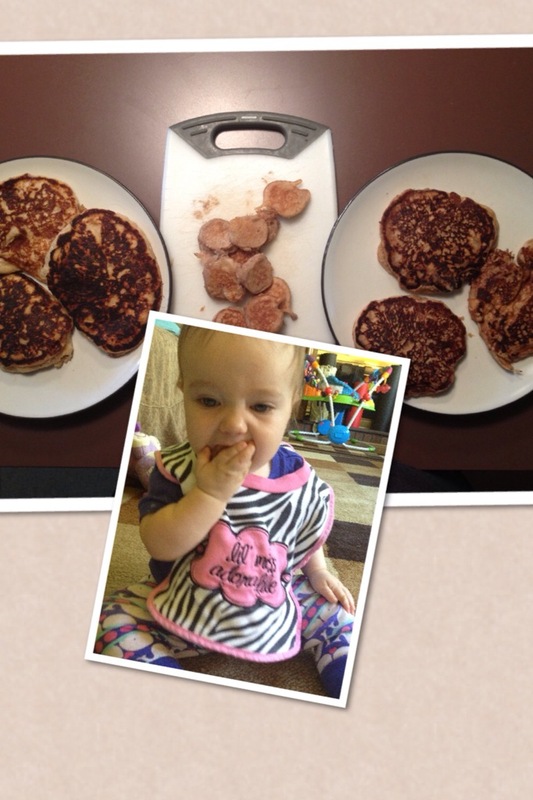 We all had pancakes this morning – banana protein pancakes for adults, bananas dipped in pancake batter for the baby. Enjoyed by all! 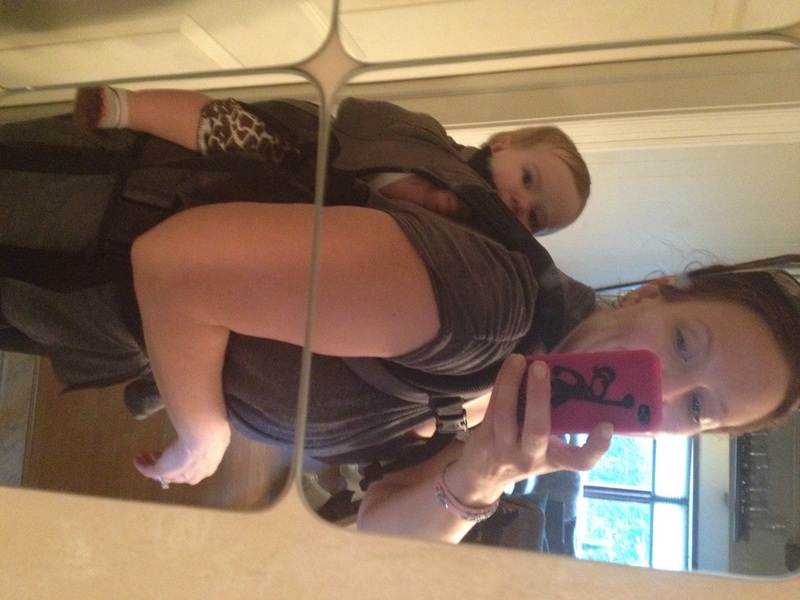 I learned how to back carry in the ergobaby…without assistance of a couch or husband! I did use a mirror, so I may not be doing this alone out of the house just yet. 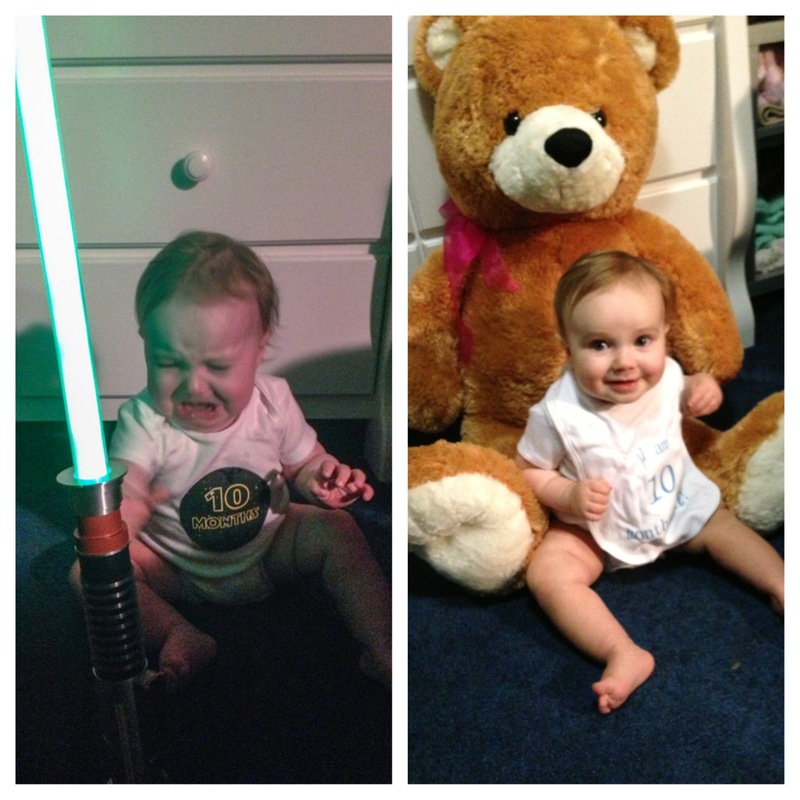 Practice is important when it comes to carriers! I love my ergo. I definitely recommend it if you’re looking for a baby carrier. The front carry is so easy and comfortable. Hip carry is a little more complicated, but not bad. 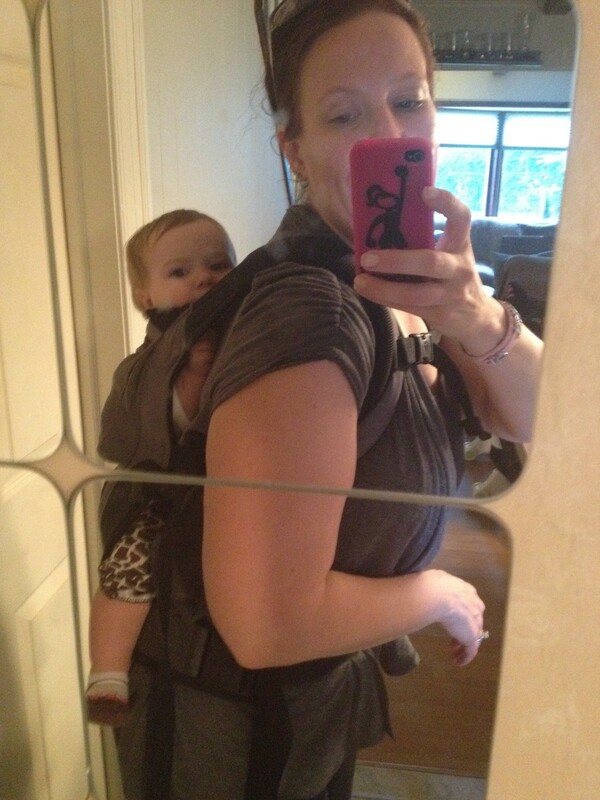 Back carry is more logistical than difficult…you have to get the baby on your back, but then it’s nothing. And I can feed her discretely while she’s in it. If you need help with yours, let me know! 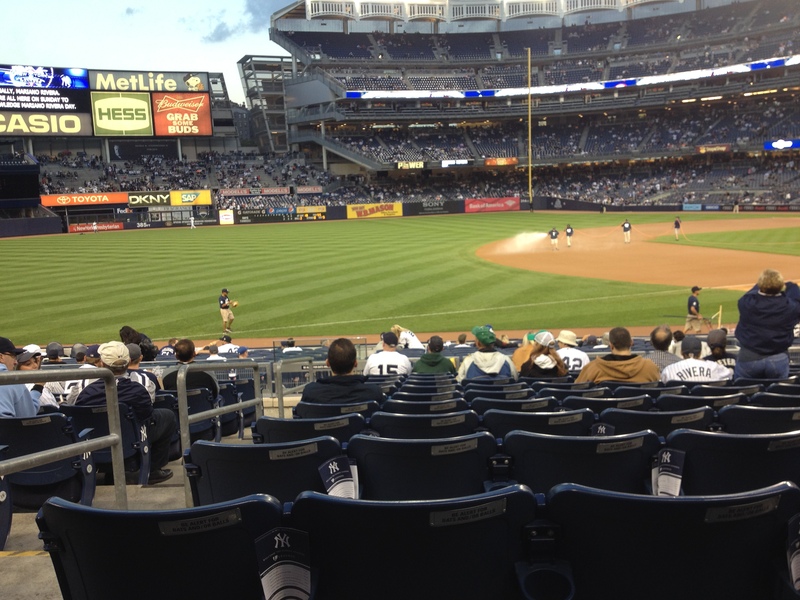 We went to Mariano Rivera’s last home game. It was emotional. He’ll be missed. What have you been up to lately? Any end of summer/start of fall fun?